Start them early….Yoga for children. Yoga is a moving meditation, and what better way to teach children the values of meditation through the fun and vitality of a yoga practice? 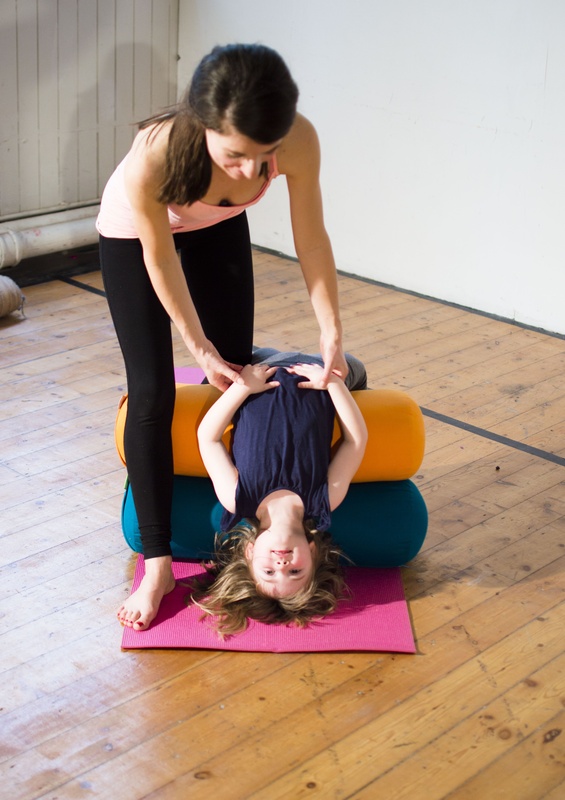 Having thought about it for a while and having many many enquiries, I am finally completing my Kids Yoga Teacher Training with Rainbow Kids Yoga in London in April. I attended a workshop with the group leader Cayetana a couple of years ago and within just one half an hour session I was massively inspired….we had travelled to Mexico, flew on a plane, swam in the sea, and created a human domino set….all working together in harmony. I cannot wait to bring yoga to the children of Coventry. I will be teaching children within age groups from 18 months – 18 years. Some of these sessions will involve parents/families and some will be with the kids alone. 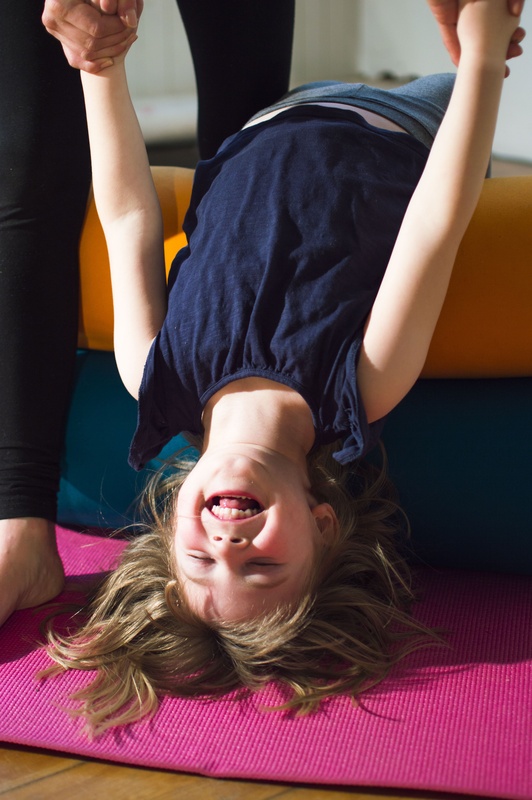 I play yoga games with my own daughter Mae (4 years old) at home, and as parents you will know that your child will probably do yoga without even realising it! Mae can be bought to calm and quiet simply by sitting still and quiet like a frog and is quite receptive to the quieter aspects of the practice…quite remarkable for a natural livewire (and providing some lovely peace and quiet for you!). My yoga training will include teaching yoga to children with special educational needs and will provide parents a much needed respite or tools to help their children cope with the demands of life. I fully believe that yoga for children should be in every school and part of the curriculum! Our emotional and physical wellbeing as children affect our ability to learn, enable us to make decisions for ourselves, care for ourselves and others and to have an interest in the wider society and environment. Classes for preschool age will involve a family member and for school age the classes will be for children only. I will arrange the sessions into age groupings to make the classes age appropriate and to make the kids feel comfortable. Sessions are likely to last 45 minutes long and will start in the May school holidays. There will be absolutely no need for experience! My classes aim to be accessible for all!